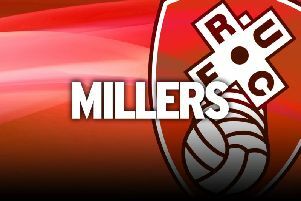 Rotherham United boss Paul Warne accepts his side need to score more often if they are to keep their heads above water in the Championship. No team has scored fewer goals than the Millers' 10 so far this season and their inability to put the ball in the back of the net has seen them drop a number of points. They have drawn four of the last five games and could have won all four had they taken their chances at key moments. “We set up every game to get three points and especially the home games we have been really unlucky not to win the last three,” Warne said ahead of Saturday's trip to Preston. “We are trying everything we can. We need to score more goals, we are not conceding shedloads, but we don't score a lot. “We are creating a few chances but at this level if you are going to win games you need to take one in two, one in three chances and we aren't. If Warne's men could find their shooting boots they could be pushing the top half of the division as defensively they have been fairly sound, keeping five clean sheets in 14 games. “We are really pleased with it,” the boss said of his side's defending. “We set out with a target at the start of the season for the number of clean sheets we could get and I think we are on the same number as we were in League One last year with virtually the same team. “We were everyone's favourites to get relegated, but clean sheets obviously allow you to get at least one point. The Millers will be aiming to end a run of 32 away games at Championship level without a win at Deepdale, a run going back to April 2016.